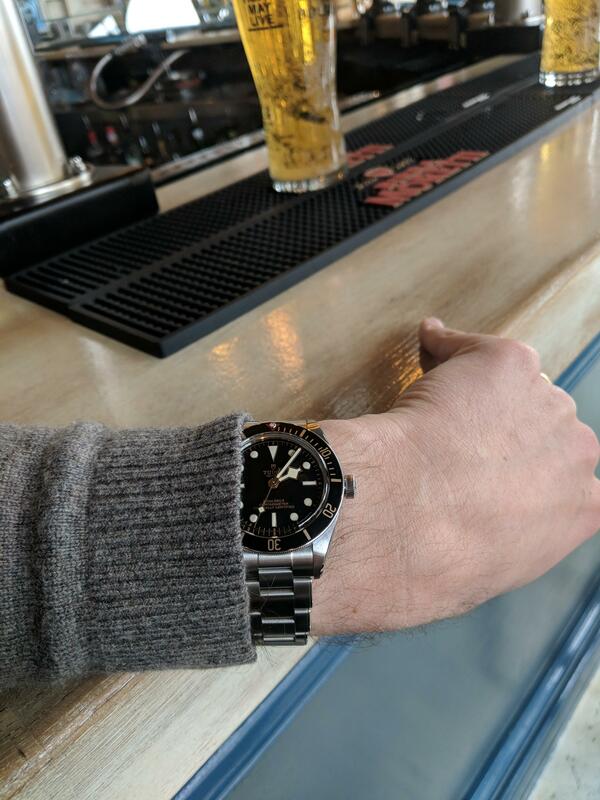 What will stop me wanting a GMT Master? You've wanted one pretty consistently haven't you. 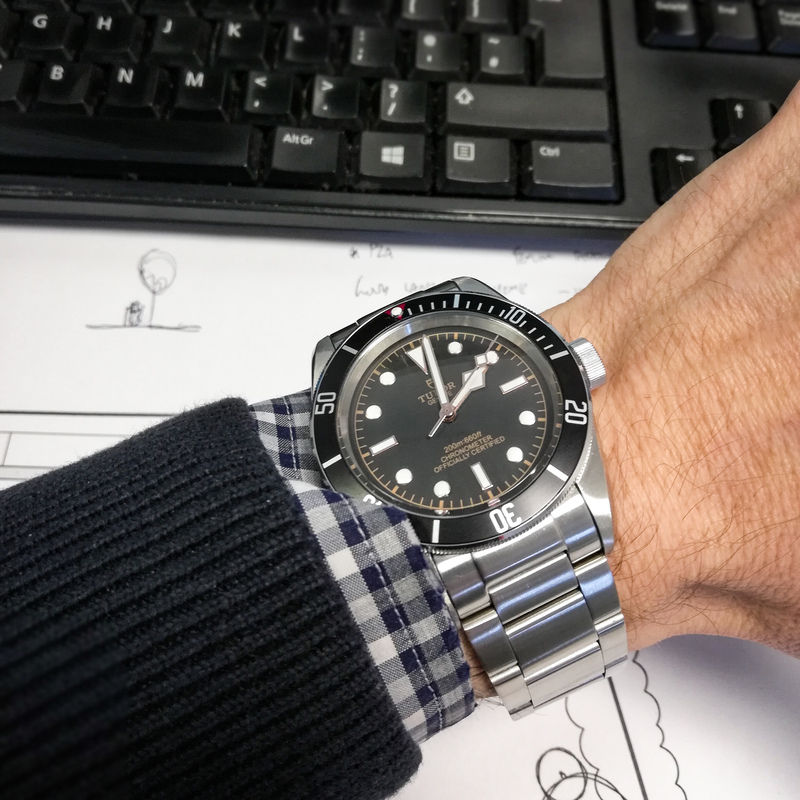 The new steel one might bring prices down a bit. You could always put yourself on the waiting list, then sell it at a profit to help cover the cost of a vintage one. i like this. i need to replace a bomber that got fucked on the weekend. 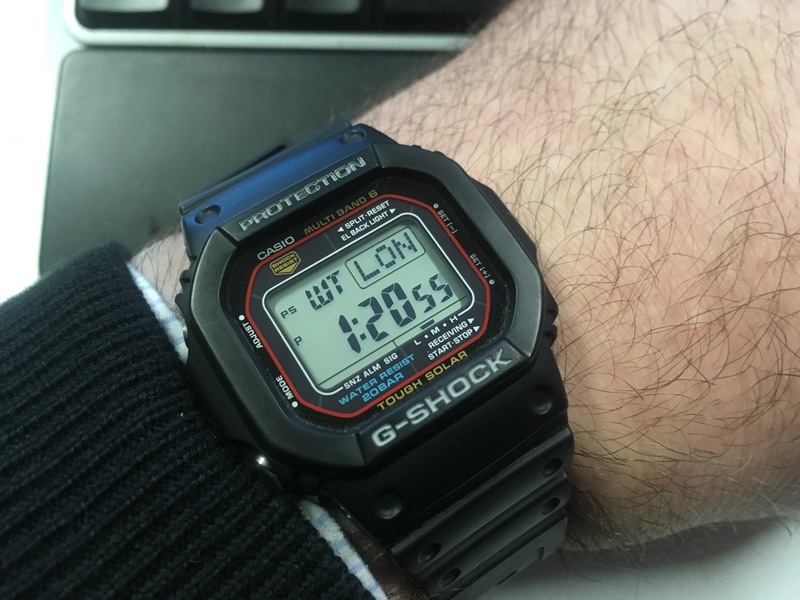 i was looking at the g-shock bombers but this could work. have you scratched it yet? @J0nathan - I like this. What's this like to wear? I always wanted a yellow/black one, but the dimensions seemed so beefy. I've been wearing it all week without taking much care and it seems pretty resilient to scratches. I thought I had spotted one, but on closer inspection it's clean. I think it will wear scratches well anyway. For £69 on Amazon, I'm very happy. It's got a good weight to it and just love the legibility and look. 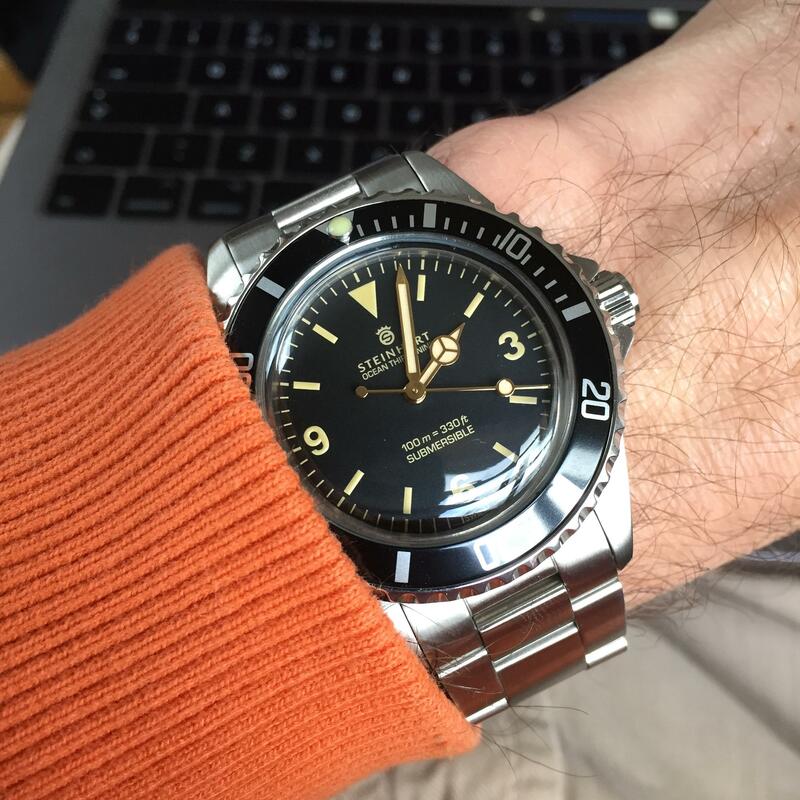 The nato it came on was complete junk, so an immediate upgrade needs to be factored in. Luckily I had a 20mm Zuludiver to hand. Also, the are long lead times when placing the order (from China), but it came much quicker than expected. Order placed 27th and arrived 12 days later. Was just wrapped in bubble wrap in a bubble-wrap lined jiffy bag, which has been commented on by some reviewers also. Was in good shape for me, though. 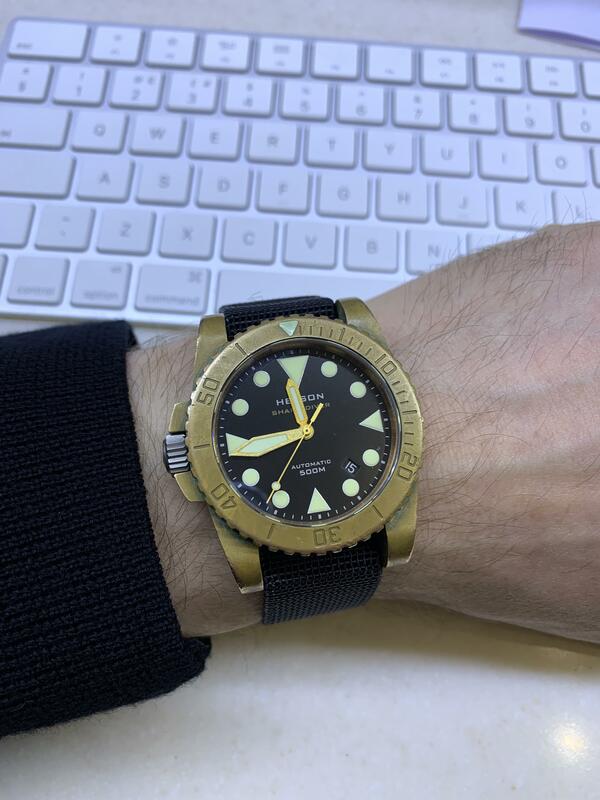 If you Google reviews, it gets called out for a couple of things: odd crown positioning, which makes setting the time needlessly tricky, plus the quality of the bezel ratchet, which I can confirm is poor, but I'm not going to be using that feature much. Works perfectly with it. 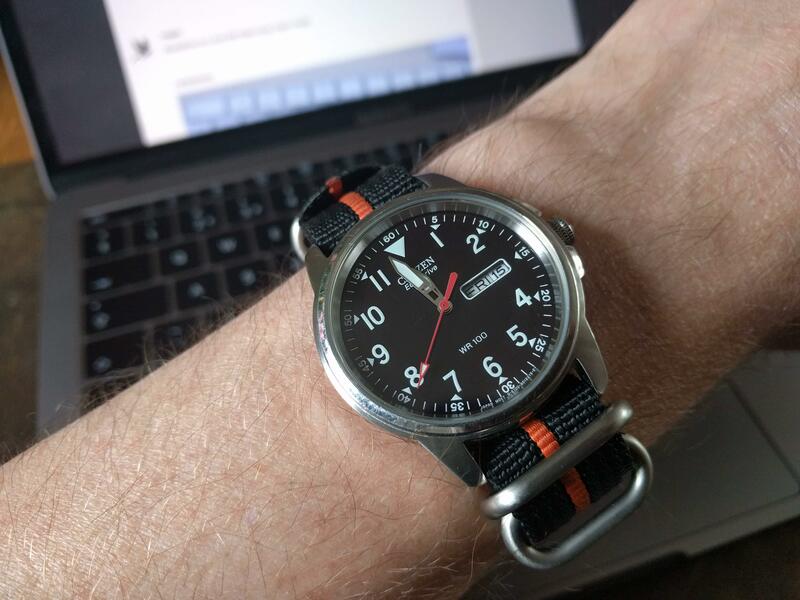 Did you get the bronze clasp option? It's a little thick but not particularly weighty. 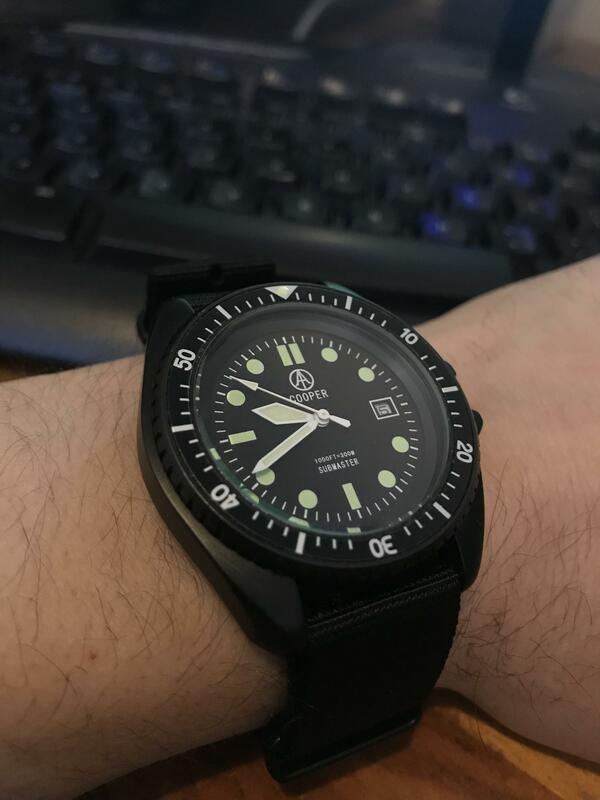 It's never really struck me as bigger than an average dive watch and certainly feels smaller than my Sharkdiver. 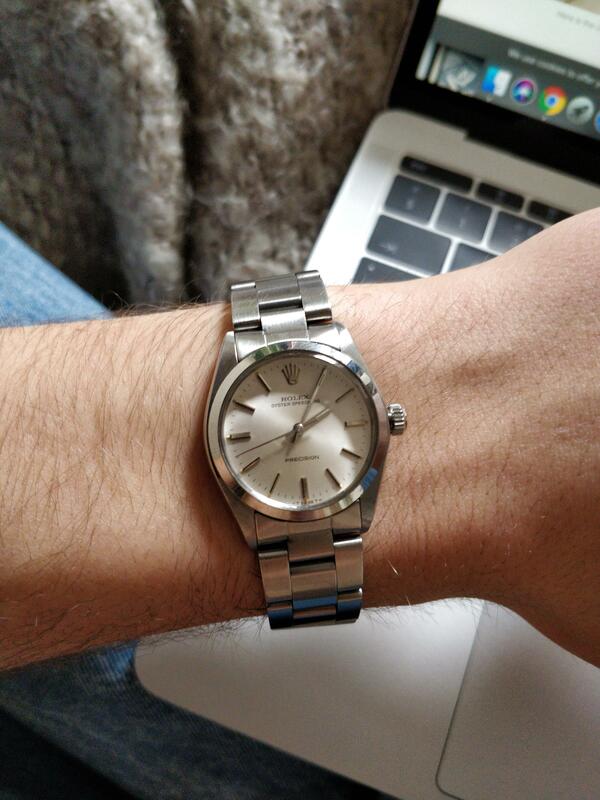 Unfortunately I'd need the white gold version of the new one as I don't like the bracelet on the steel one. This picture makes me jealous for at least two reasons. Bear in mind they’ve changed the dial colour on the white gold Pepsi GMT to blue, to differentiate it from the steel one I guess. Loses something IMO. 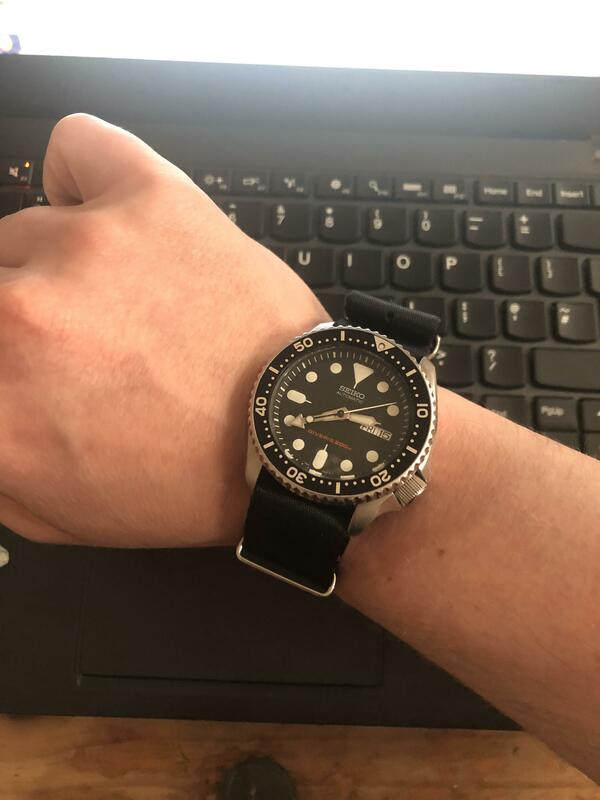 Price check on the SRPB87 I’m wearing today (that I always seem to do when I wear it) reveals that the K version is £105 shipped on Creation Watches, which seems pretty flipping cheap to me. Mine’s the J version but I don’t think there’s any difference. Damn that’s a good price for a solid piece of design, hands are great.